Have you ever been confused about when to use a colon as opposed to, say, a dash? 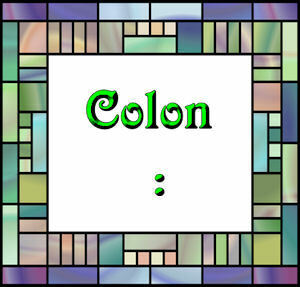 A colon can introduce a series of elements or amplify what came before the colon. Note regarding “as follows”: this applies to run-in lists. If you’re creating a vertical list (maybe using bullets or numbers), the best way to introduce it is with a a complete grammatical statement. A colon can be used between independent clauses (acting a lot like a semicolon), BUT use rarely, and ONLY to show that the second clause illustrates or expands the first. And occasionally, you can use a colon instead of a period to introduce a series of sentences. Example: She had several choices: She could…long sentence. She could….second sentence. Or she could…third sentence.